Cole Hansen from the State of Utah and Alex W. Meade from Miller Insurance Group will lead the discussion — and you’re invited to participate with your questions following the main presentation. Cole Hansen serves as a New Business Developer for the Office of Consumer Health Services within the Governor’s Office of Economic Development. 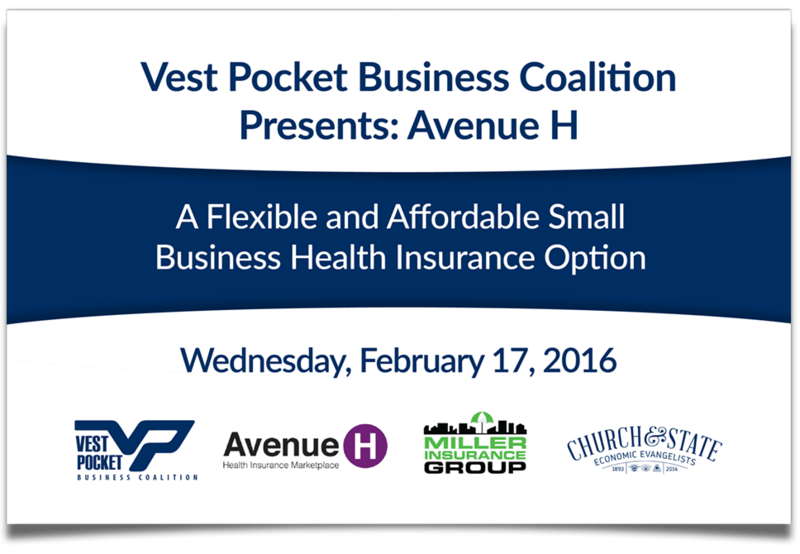 He is responsible for assisting in developing new ways to work with Utah’s broker and small business communities, in an effort to educate them on the benefits and advantages of Avenue H. He will be speaking about the AvenueH Program and how it can help small businesses attract and retain good employees. Alex W. Meade has been an insurance broker for 14+ years working in many areas but with a strong interest in health insurance. He is a member of the National Alliance of Insurance Agents, and the Society of Certified Insurance Counselors. He will talk thru the different ways that health insurance is available, how he has seen AvenueH work for employers and will answer questions about health insurance in general. Call For Nominations to the VP Board of Directors The Results Are In… From The Vest Pocket Members Survey!